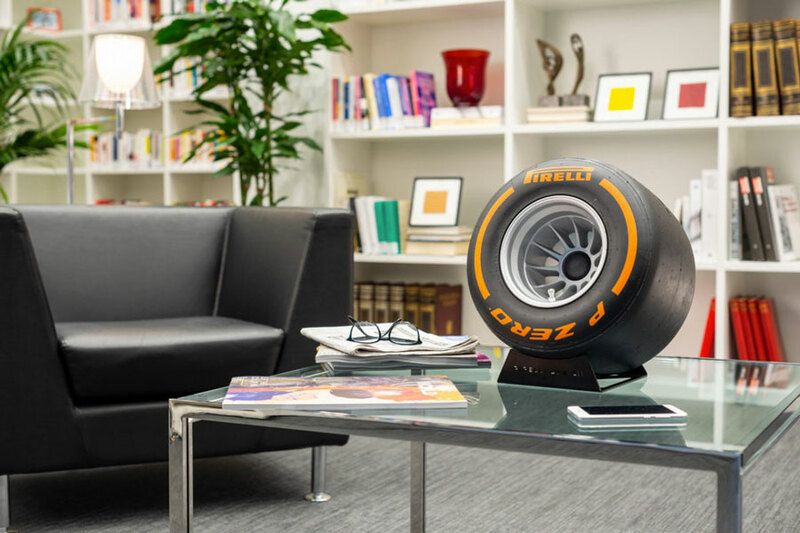 iXOOST has teamed up with F1 tire* maker Pirelli to develop the P ZERO Sound, a speaker built inside a real Pirelli race car tire. Well, race car tire, junior. 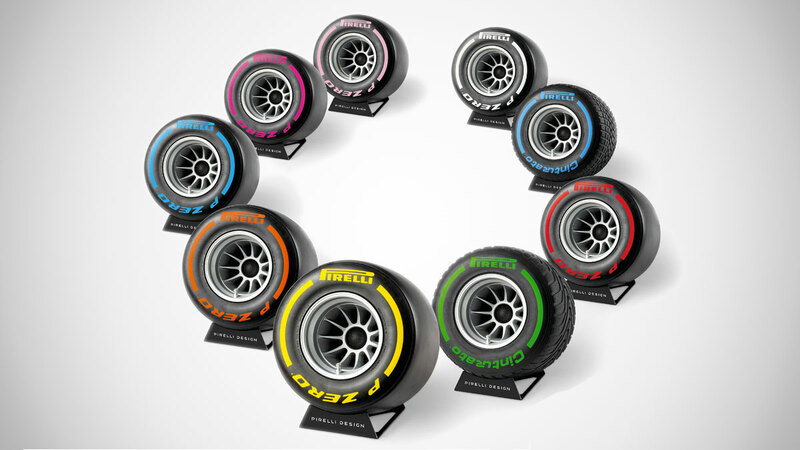 Pirelli also makes a series of scaled-down P ZERO racing tires, called Wind Tunnel Tires, that are exact replicas of the larger versions. F1 teams use them on half-size model cars for aerodynamic wind tunnel testing. And now, iXOOST uses them as the framework of $2,800 speakers. Not that big of a leap, considering some of iXOOST's other projects. 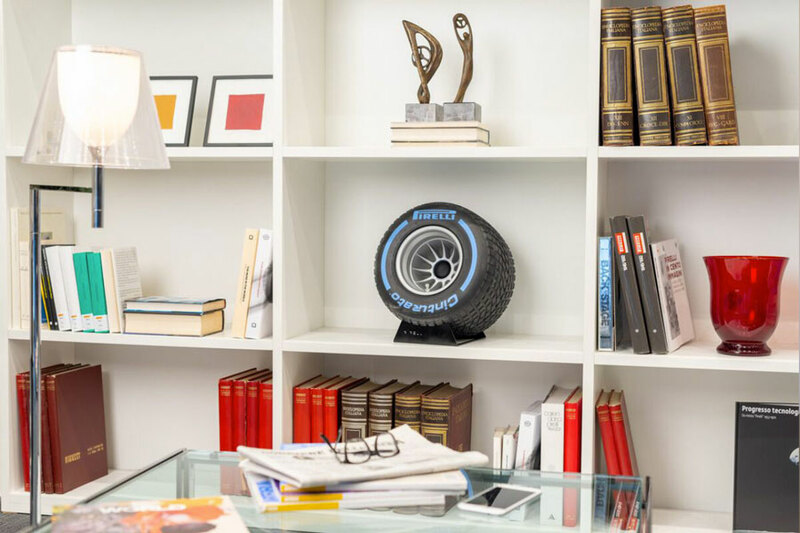 Ye motorsports enthusiasts drawn to the look of the P ZERO Sound might not be as interested in the speaker's specs, especially if you have no intent to buy one, but here are a few anyway: 100W wireless surround sound system; 25mm silk tweeter; and 100mm midwoofer. *or "tyre" if you like.